What are the main causes of the juvenile delinquency phenomenon in Mozambique? The phenomenon of minors in conflict with the law has different roots and reasons. It started with the civil war which ended in 1992 and killed parents who went off to fight, leaving children alone and abandoned. In most cases, both the mothers and the fathers lost their lives and neither returned to their homes, thus children became orphans and remained alone with nobody to look after them. These children began living on the streets trying to earn a life by carrying out little bits of work such as cleaning cars. But in the majority of cases they ended up begging and starving. As a consequence, these children grew up carrying out petty crimes and later on they committed bigger offences. The judicial authorities were not ready and were slow in taking any preventative measures. Thus children continue to grow, carrying out petty crimes like stealing phones and pieces of cars. The juveniles who commit crimes today are the same children who were abandoned by their parents because of the civil war. Other theories identify different causes, for the roots of the phenomenon of minors/juveniles in conflict with the law, among which is the extensive poverty in the country. Indeed, we can not forget that Mozambique is one of the poorest countries of the world. Personally I don’t believe that this is a valid reason, because we are all poor. The whole Mozambican population is very poor but not every child commits offences. But it is true that there are also too many cases of adults who exploit children and juveniles by sending them to the streets to commit crimes for them. Can you present a case that can raise awareness of the problem? It is really hard to elect one case because there are really too many. Unfortunately there is one case that I always have in mind and for which I still have a feeling of unaccomplishment, and this hurts. Two minors, 13 and 14 years old, argued at school and somehow one got hold of a blunt object and hit the other so hard that the other died. Since the Juvenile Rehabilitation Centre(1) is not currently functioning we have no place to send severe cases like the one I described. Indeed we, the magistrates, work together with the family of the offender and psychologists in order to formulate sentences which are specifically addressed to each case and with the objective of preventing the offender from committing illegal acts again. This particular case was really hard for the entire team in the Tribunal of Minors (magistrates, prosecutors and psychologists) because the parents of the offender were two alcoholic addicts and did nothing but drink all day long without taking care of their children or the family in general. Indeed, during the investigations even the psychologists in the hospital were shocked by the total degradation of the environment in which the offender grew up. The family absence was a real problem for us in drafting a proper sentence. At the end, because of the impossibility of sending the child to the Juvenile Rehabilitation Centre, the offender was sent back to his family where all responsibility fell back onto his brother’s shoulders, a 19 year old. This case was and still is very difficult for all of us. Moreover, the family of the victim still comes at the Tribunal to ask why the family of the offender didn’t pay any sum for the loss of his son (in Mozambique the whole system is based on restorative justice). Thus I am still receiving a father in mourning for the loss of his son, without giving him any possible solution. 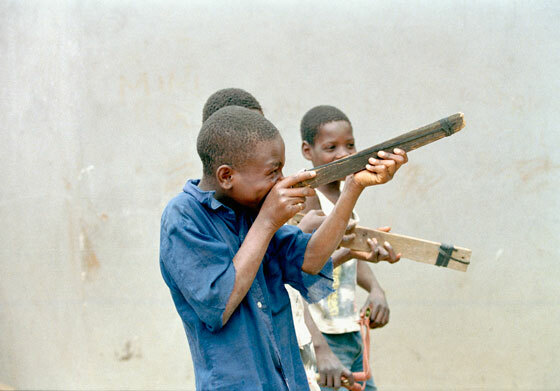 Are the minors at risk or in conflict with the law and the rehabilitation programmes a priority in Mozambique’s agenda? Generally they are important and these issues are in the agenda of the Government but unfortunately the lack of a prompt answer has roots in the Portuguese colonization. Indeed, during the colonization all the government and management positions were filled by the Portuguese or other nationalities. As a consequence, when Mozambique became free from colonization we really suffered from a lack of trained and adequate personnel in all sectors of the government, including the justice system. For this reason the first step of the government in addressing the problem was to start rebuilding the whole system by investing in education and training; and building and renovating schools, universities and specialized post-graduate institutions. The training of personnel who could take over specific responsibilities was part of this plan. We should not forget again that Mozambique is one of the poorest countries in the world. This means that, in order for us to reconstruct and organize the whole system again, we need to seek support from international donors. Within this framework, I can say that the whole area is of great importance for the Government and it is one of its priorities. This is also thanks to the fundamental support of international cooperation interventions like the one implemented by UNICRI. How important is the “Strengthening Juvenile Justice in Mozambique” programme for the Mozambican Justice System? It is not very important – it is fundamental! Indeed, as explained above, due to the whole reconstruction of the country, international donors and projects like the one with UNICRI, came during the most important period for my country. The project enabled many fundamental management personnel to be trained and then assigned to perform sensitive tasks. They are now effectively able to deal with minors in conflict with the law and with other difficult situations which are related to the particular backgrounds of these minors and juveniles. What have been the most important results and the most innovative aspects of this programme? Surely the most interesting and innovative aspect for me was having contact with new realities and experiences, different from the ones I live in. The cooperation with international professionals gives the possibility of developing a higher conscience. To give an example, when I was appointed to work in the Tribunal for Minors (I did not choose it but I was appointed by our system) I thought that my position had been downgraded. But thanks to the creation of this high level network I understood the real meaning of working in this area. With UNICRI’s project the study visits carried out both in Italy and in Angola gave me the chance to see different realities in Europe. I then understood that I was lucky to be assigned to the Tribunal. Indeed, in doing this job you really feel useful because you contribute to prevention. You have the responsibility of educating juveniles: those who tomorrow will have the possibility of becoming useful, responsible and honest citizens. Moreover, the information that I have acquired during the implementation of the project like training, material, modules, bibliography and books are now everyday tools. A lot still has to be done because raising awareness of the problem that I talked about before has really only taken place here, in Maputo. Indeed there is also a lack of infrastructure because the only Tribunal for Minors is the one in Maputo and it serves the whole country. There are Tribunals in Zambezia, Sofala and Nampula but they have only sections for minors. They are not to be considered as Tribunals for Minors. There might be people who think that having ad hoc Tribunals is not fundamental. But not having specific Tribunals for minors will prejudice the future of our children. The alternative is to continue on as in the northern and central regions where there is no special attention given, or specific structures for minors. We would continue mixing adults and minors together thus impeding any preventative efforts. But Mozambique has to change this not only because it is the ethical and fair thing to do, but also because the country must comply with international conventions. 1 UNICRI with the project ‘Strengthening Juvenile Justice in Mozambique’ renovated equipped and trained all personnel of the Observation (pre-trial) and Juvenile Rehabilitation Centre (post-trial). The responsibility for the functions of the Centre was handed over to the Government of Mozambique in May 2009.